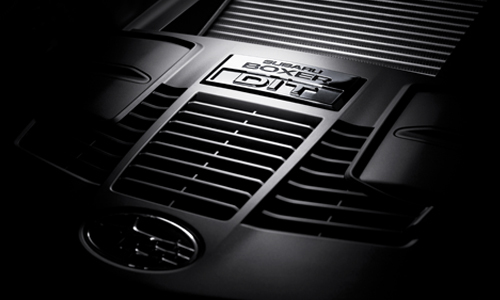 Subaru’s first Direct Injection Turbo engine uses direct injection technology to provide precision control of fuel injection, resulting in high compression and operating efficiency that was considered impossible with existing turbo engines. 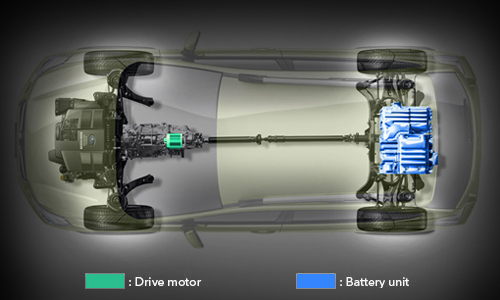 The 2.0ℓ engine packs sports performance more similar to larger capacity engines, with low fuel consumption and exhaust gas emissions. 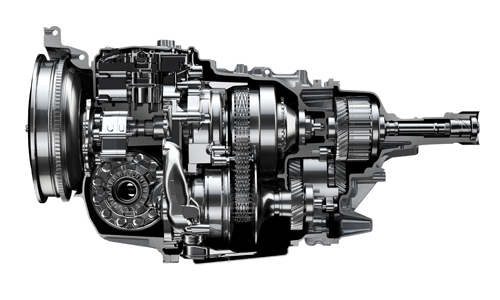 The transmission developed by Subaru is called “Lineartronic,” a longitudinally-mounted chain-driven continually variable gearbox. 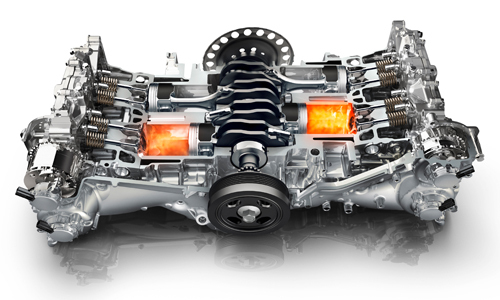 Keeping the engine in its most efficient operating range achieves outstanding fuel efficiency and a linear acceleration feel. Smooth, non-step acceleration means there are no major jolts when the gears change, and the system is so silent, both qualities that make Lineartronic so appealing.